BRYAN EATON/Staff photo. 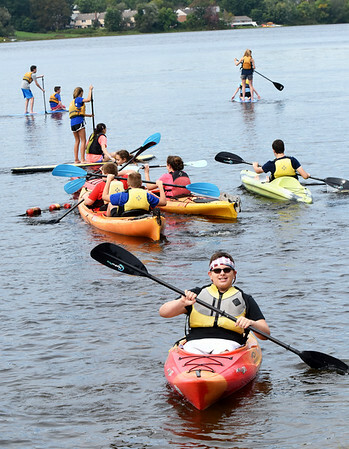 Amesbury Middle School students took to kayaks and paddle boards on Lake Gardner on Thursday morning. The physical education teachers arranged for Plum Island Kayak to allow the students to have a very special gym class in the open.